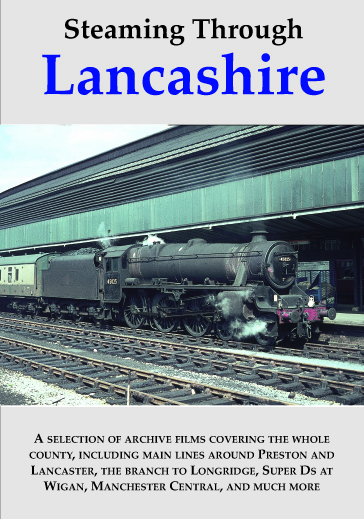 This, the third volume of Richard J. Willis’s collection of 16mm colour film of the British Railways scene in the 1960s and features one full hour of pure archive material on dvd. 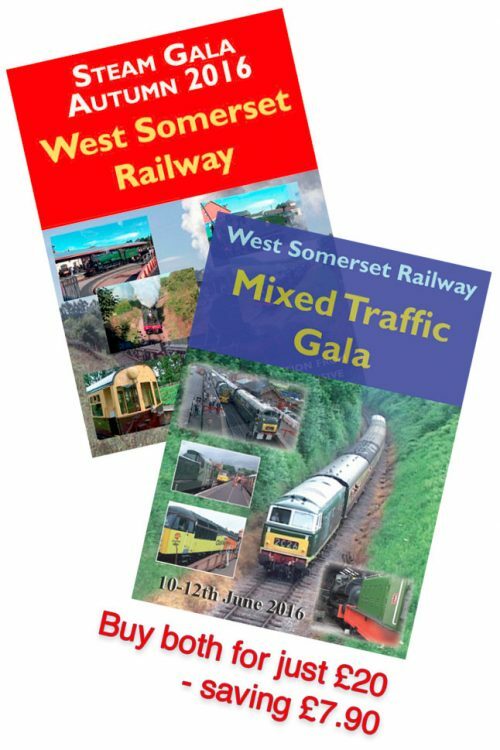 Part One varies from the previous Main Line Steam Routes theme comprising a series of individual (linked) features that to our eyes really capture ‘Steam in the 60s’ with everyday steam, railtours and the occasional diesel (they were after all part of the scene!). Part Two takes us again from Kings Cross to Newcastle (see Volume One) and then beyond to Edinburgh ending up in Larbert. This second (longer) trip allows a greater variety of classes to be seen. Part One – Main Line Miscellany: The opening features 9Fs on the Settle & Carlisle. ‘Evening Star’ filmed in April 1988 contrasts with a grimy 92125 some twenty years earlier. Carlisle sees a workaday ‘Jubilee’ and ‘Duchess’ No. 46257, while cast aside in the scrap line are 46200 ‘The Princess Royal’ and a WD 2-10-0. Moving on to Nottingham London Road with passing WD 2-8-0s. Loughborough Midland with lineside views of a sister WD, 8F and 9Fs. Leicester Midland finds a 4F 0-6-0, a further 8F and Jubilee 457000. Our Great Central interlude starts at Leicester, which provides ‘Royal Scot’ No. 46111, 44847 and a 9F – all on passenger duties. Belgrave and Birstall for ‘Brit’ No. 70037 (on a fish train), 9Fs, Black 5s, a V2, ‘Royal Scots’, a B1 and Black 5 passing, 2-6-2T and even a DMU. Rothley with an 8F and track relaying. We return to Nottingham Victoria for B1 4-6-0s, with 61088 on everyday duties, while 61131 and 61173 work a special. On another day we find 61173 with WC 34002 Salisbury. The latter’s home ground at Waterloo finds 34034, while Weybridge provides variety with BR 75xxxs and a class U mogul. Sister U 31639 was paired with a Q1 for a railtour – seen at Wilmcote. Merchant Navies ‘away from home’ include 35022 at Nuneaton and 35026 at York. Finally a railtour back on the SR features 70020 Mercury in brilliant sunny conditions. In total contrast Derby Midland is blanketed in snow and fog as we seek class pioneer 70000. Crisper snowy days brings us a Bk 5, a 8F, 43002 and the sad sight of two GWR 68xx tanks in Kettering Yard, ready for scrap. Everyday Western Steam is viewed in action south of Hereford, with a 43xx, 57xx and a pair of ‘Halls’. Going to Wales for Manors sees 7819 plus 7802 on an SLS Special at Welshpool and Oswestry. At Stratford-Upon-Avon a grimy Clun Castle hands over to 70004. Less fortunate than 7029 was 5018 St. Mawes Castle by now resident at Kettering. Another scrap line at Crewe finds 45006, amongst others. Steam lives on in the station and in the shed area, which provides a great variety including an immaculate 46228. By contrast, back at the station, 46225 is in terrible external condition. Via Tamworth we move to Rugby Midland again finding Duchess of Gloucester, now in an even worse state! Cleaner examples – 46245 and 46251 – are seen on railtour duties. Our final views of City of Nottingham were at Birmingham New Street, which on another occasion had hosted Peppercorn A1 W.P. Allen. Part Two – East Coast Reprise: For everyday views of ex-LNER types we move to King’s Cross where A1 60120 and A3 60107 are feature. 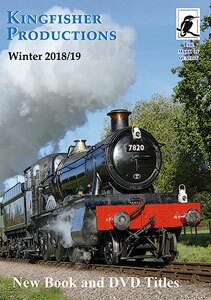 Locos seen and locations visited on our trip north include: Abbots Ripton (A3 60005 and a WD 2-8-0). Yaxley (a further WD), Peterborough (an A4, Thomson A2/3 60523, A3s, A1s & a V2), Essindine (A3 & A1), Burton Coggles (A1 & A4), Grantham (A3, 9F and O2 2-8-0s), York (WD 2-8-0s, J27, 77xxx, B16/3, A1, V2s, A3 & A4, Newcastle (V3, J72 68723, A3 60052, DP2, A4s 60020 & 60026). Over the border to Scotland we find a workaday B1 in Edinburgh, at Cumbernauld a 73xxx and at Greenhill an A4, a BK.5 & J37 64593. Our last location is Larbert where A4s 60009 & 60031 provide our final record of ‘The Grime & Glory Days’. 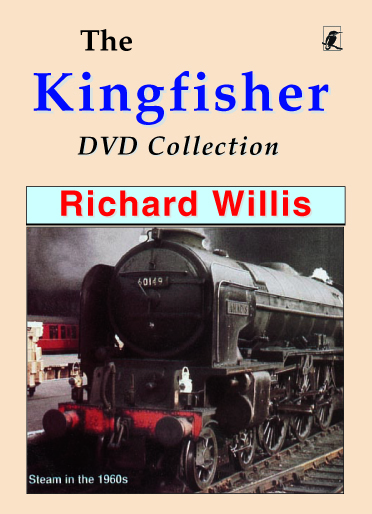 This, the fourth volume of Richard J. Willis’s collection of 16mm film of the British Railways scene of the 1960s, brings the story to its logical conclusion. As steam was eliminated across British Railway’s system some pockets of resistance remained, with steam dominant to the end. 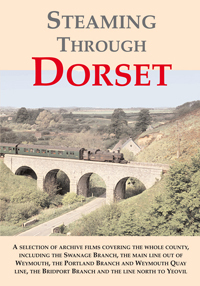 It is these ‘Oasis of Steam’ which form the theme of this dvd, showing everyday ‘working’ steam as well as the numerous special runs at the very end of steam. 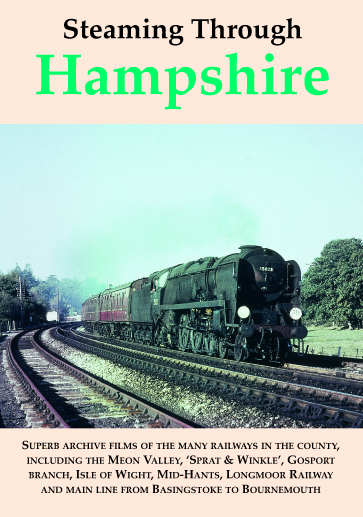 This dvd covers Midland Branches, Main Line Medley, Southern Reprise, West to North West, ‘The Times are ‘a changing”, The End – 1968 and ‘Is There a Future?’. Midland Branches: Seaton, on the edge of Rutland, is our starting point, where we see the last motor-fitted working in the country, the Seaton-Stamford, push-pull headed by 41225, also seen watering at Stamford. This is followed by a trip along the Great Northern’s Derby branch, an ‘oasis’ set deep in Midland territory. Main Line Medley: Starting in Richard Willis’ ‘home territory’ we see the Great Central main line around Leicester, with a Black 5 and B1 at Frog Island, and another Black 5 at speed in glorious May weather, at Belgrave and Burstall. Standard Class 5 73045 and a 9F pass at speed, and, after a view of the station, we return to the outskirts of Leicester to see 92072 on a freight. 61144 passes through Charwelton and we have a brake-van tour at Croxton. A fireless 0-4-0T and a B1 work on Leicester’s Great Northern Branch, and then 61004 Oryx and 61028 work the Midland main line. At Syston Black 5 45282 and the Midland Pullman pass heading north, and we go to Oakham level crossing for a local headed by 75067. Finally, on the East Coast Main Line, we see 60007 Sir Nigel Gresley and 70020 Mercury on specials and 7029 Clun Castle on shed at Peterborough New England shed and on the ECML. Southern Reprise: We go to Weybridge for some new and ‘alternative’ views of the South Western Main Line. Highlights include a pacing sequence of 34014 Budleigh Salterton, then a Standard 5 on a parcels and 35017 Belgian Marine on the Bournemouth Belle. Two standards, four rebuilds, one original and a U Mogul are seen, then out on the main line at Pirbright Junction six more expresses pass, whilst further on a milk train is on of the highlights. At Battledown a standard 5 passes over the flyover, as 35023 comes underneath. We wait for A4 60024 Kingfisher and then go to Overton for 70020 Mercury. Finally, a Pullman Camping Coach at Hinton Admiral leads us to Christchurch bank for two Bulleids and 4498 Sir Nigel Gresley. West to North West: A watery ‘oasis’ is found at Aldermaston with Hall 4963 on the water troughs. At Oxford a standard arrives, and then we see Bradley Manor in mid-Wales. 3442 The Great Marquess forecasts modern steam working at Chester, and then we take to the hills along the Lune Gorge to see a Black 5, a Royal Scot and a Jubilee. That ’60s favourite, Scout Green, is our next stop, as another Jubilee is banked by a 2-6-4T. Also seen here are 44767, the unique Stephenson Black 5, two Britannia’s, 70034 and 70030, 44675 on a fish train, and another 2-6-4T, 42414. An ex-Crosti 9F makes a stirring sight on an express, and we move to Auchterarder to see a Standard 5 and an A4, 60009. The latter is also seen at Larbert with 60031 Golden Plover. ‘The Times Are A Changing’: Blue electrics at Stockport introduce a visit to the loco depot to see Crabs and Jubilees. Bahamas is seen preparing for a railtour, then we see Alberta, 45562 at Normanton. Our first view of 70013 Oliver Cromwell is also here, but she’s then seen at Guide Bridge, as 60019 Bittern, which takes us to York on a railtour. The End – 1968: Black 5s at Manchester Central and Victoria remind us of the halcyon days, and then we join an August 1968 railtour behind 70013 Oliver Cromwell from Victoria to Blackburn, passing rows of redundant 8Fs and Black 5s on the way. The very end is witnessed at Carnforth, with Black 5 45156, once Ayreshire Yeomanry, arriving on a special. In the shed yard, soon to become Steamtown, we see rows of dead Black 5s and then 45390 and 45025 are prepared to take out the last one of all – the 15 Guinea Special. Is There a Future? : It seemed there was no future for steam on BR, so we go to Tyseley to view a 1968 Open Day, and to Bridgnorth to see the Severn Valley’s Gala in April. Richard Willis’ involvement is illustrated on the Great Central of today – the answer was ‘yes’. The above is by necessity only an outline of each programme’s contents. Each volume approximately 50 minutes. Volumes 3 and 4 on one dvd.